In the heart of Blackpool, just 10 minutes’ walk from both shops and nightlife, this homely guest house offers free Wi-Fi and home-cooked breakfasts. Blackpool North Train Station is a 3-minute walk away. Each room at Lynmar has Freeview TV and free tea/coffee, whilst the rooms all share bathroom facilities. Lynmar is less than 0.5 miles from theatres and the famous Winter Gardens entertainment complex. 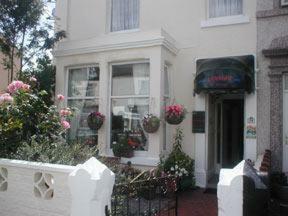 The seafront and traditional pubs are within 5 minutes’ walk, with Blackpool Tower a further 5-minute walk away. Set just 200 metres from Lynmar, Cocker Street Tram Stop provides 20-minute links to Blackpool Pleasure Beach.